What do you know about dragons – about fire, power, and flight? 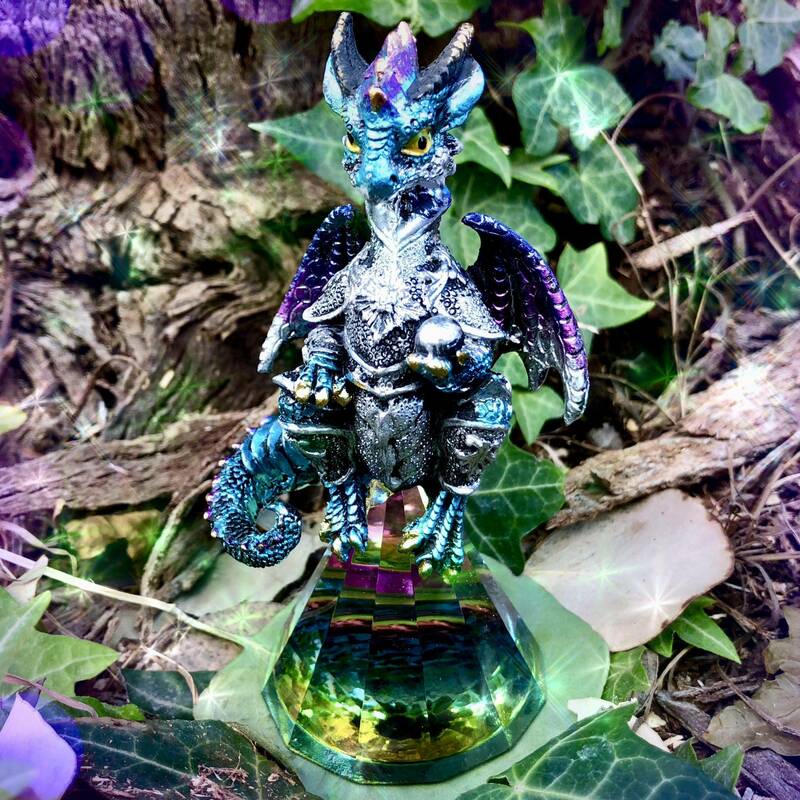 These Prism Dragon Figurines are alive with this mythical creature’s energies of strength, boldness, and fierce protection! 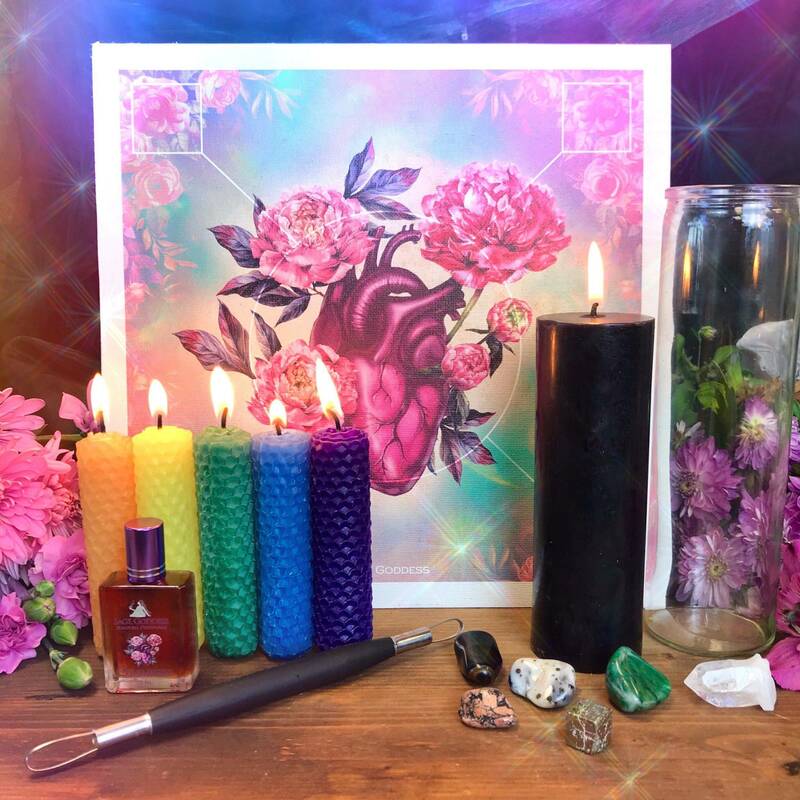 Each one features a gorgeous dragon carving sitting ontop of a beautiful rainbow prism, and if you’re as captivated by dragons as I am, you’ll adore having one in your sacred space. The dragon is considered the ultimate symbol of Chi, or Life Force. 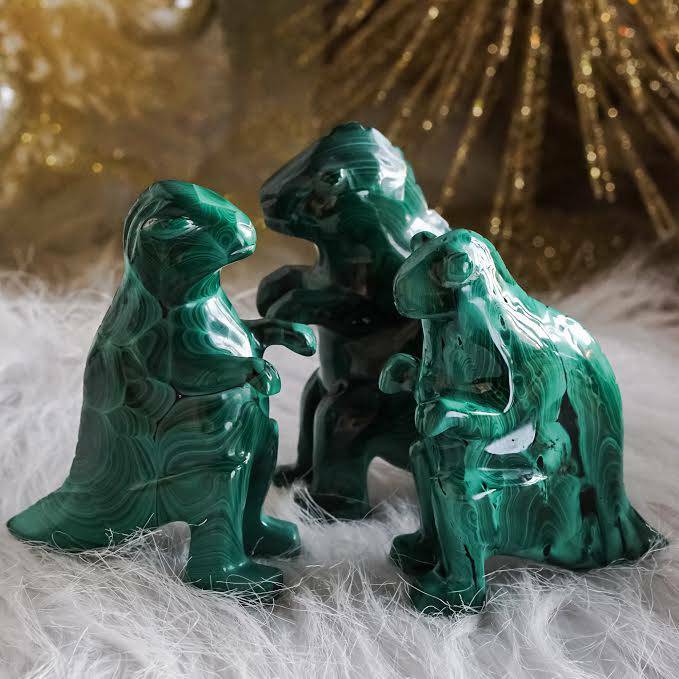 This mystical beast is heralded as one of the most powerful representations of good fortune and is representative of new beginnings, primordial power, and mastery of the elements. When the dragon comes into your life as a guide or totem, it comes with a message of honesty and courage and serves as a reminder for you to move through life with the strength of a warrior. 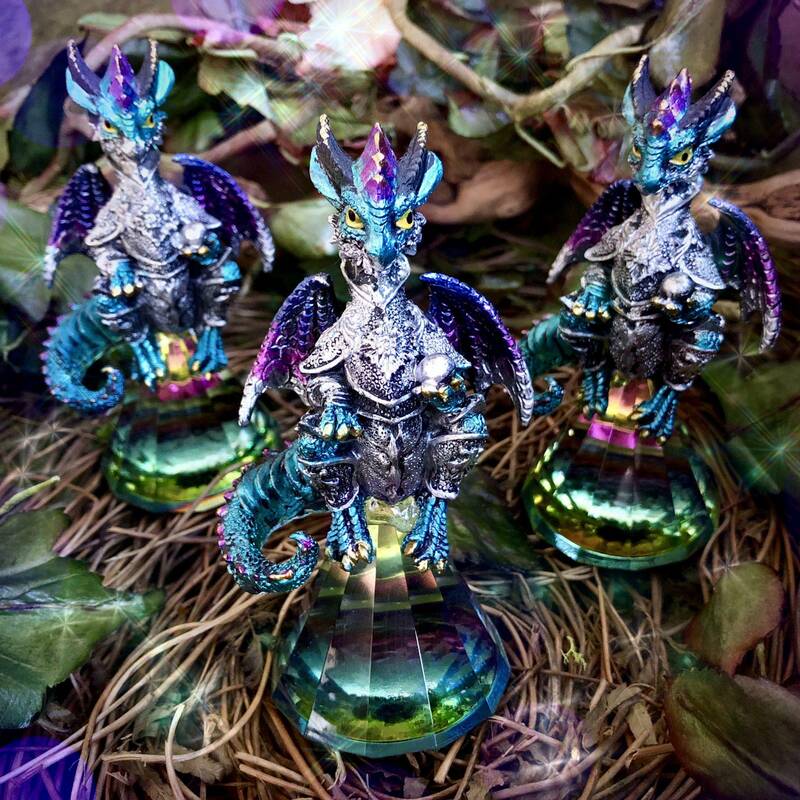 These beautiful dragon figurines also feature a rainbow prism, adding a dose of color magic. 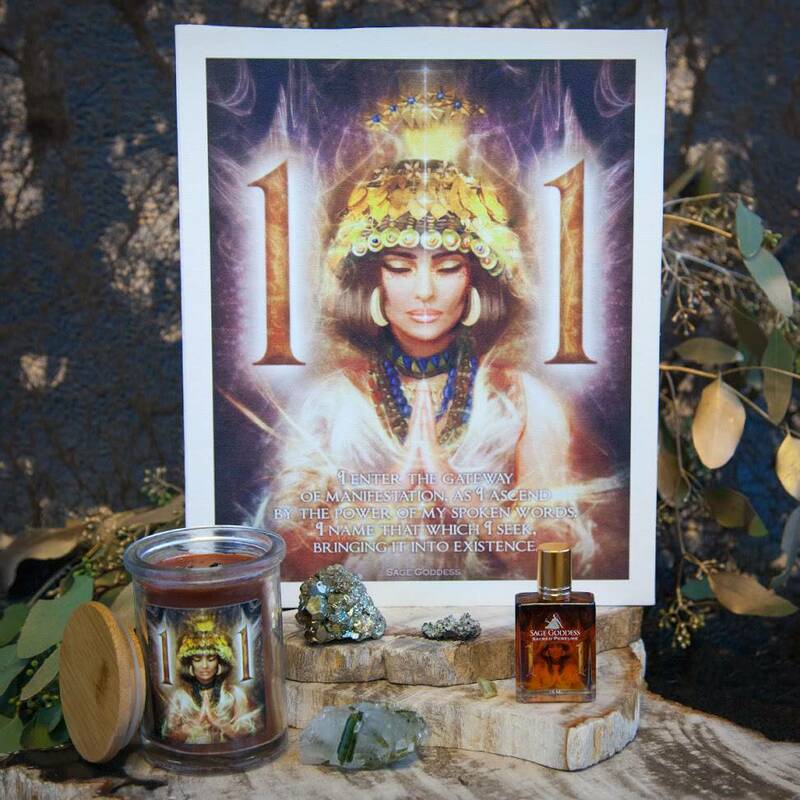 Display your figurine on your altar, bedside, desk, or anywhere you feel called to harness its magical properties. When deciding where to place yours, trust your intuition – it will not lead you astray! 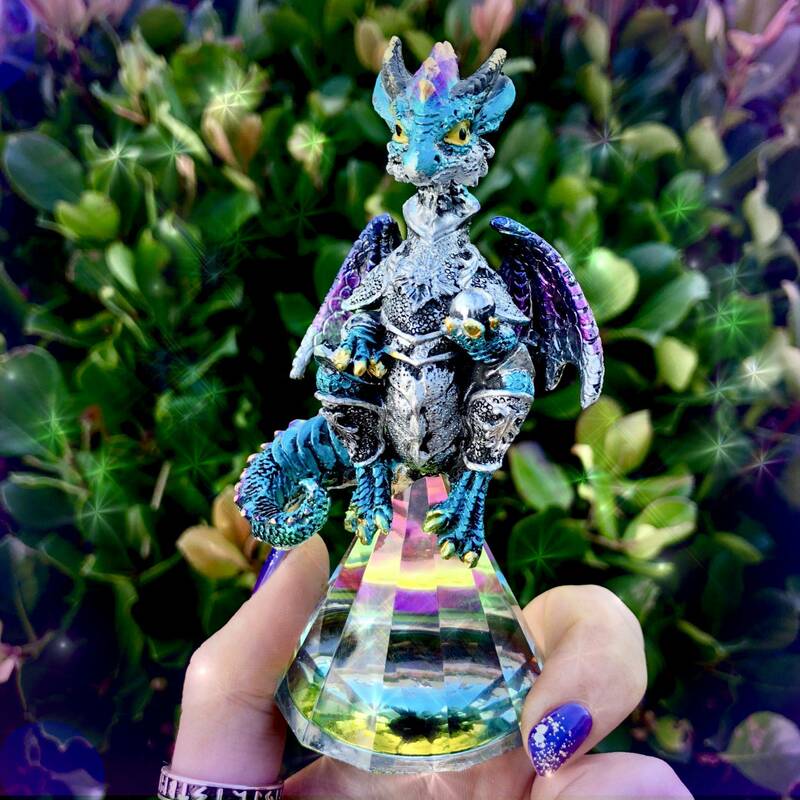 This listing is for one (1) Prism Dragon Figurine (about 4.5 x 2.25”). Yours will arrive lovingly parceled for your enjoyment.